Heat oven to 400°F. 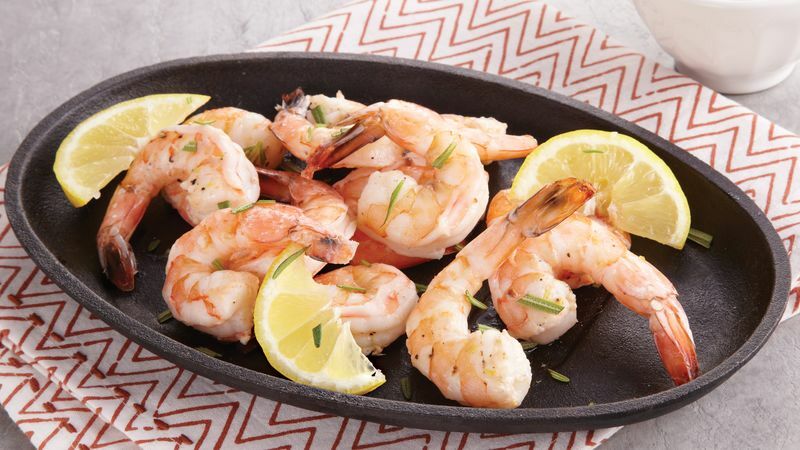 In 15x10-inch pan with sides, stir together shrimp, rosemary, oil and lemon wedges. Sprinkle with salt and pepper. Bake 6 to 8 minutes or until shrimp are pink. In medium bowl, stir ketchup, horseradish, vodka, garlic, Worcestershire sauce and lemon juice until blended. Serve with shrimp. Any leftover cocktail sauce will keep for about a week, covered with plastic wrap, in the refrigerator. Serve it with your favorite seafood.